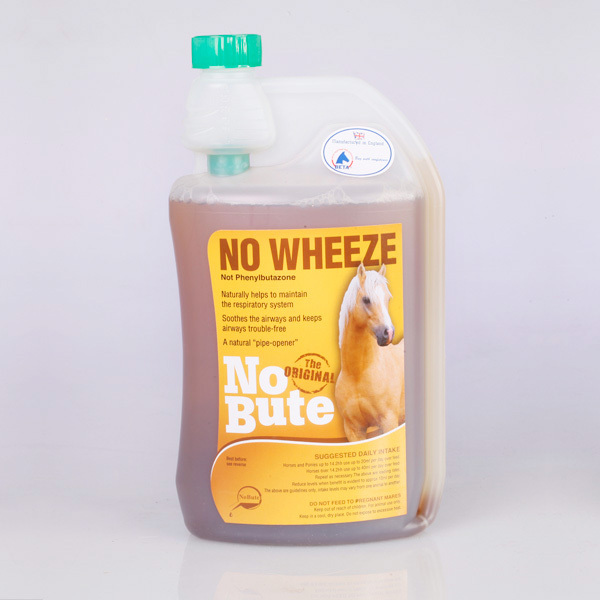 No Bute No Wheeze Helps to clear mucus clogged airways using a specially blended herbal liquid supplement designed to help alleviate the symptoms of equine cough and other respiratory problems. Effective and affordable, comes highly recommended. Below are some recent questions we've received regarding No Bute No Wheeze Respiratory Aid for Horses, including answers from our team. Hi my horse has had sinus surgery recently to remove sinus cysts, would this supplement help with keeping his sinus clear to help prevent infections and cysts. This supplement is designed for the respiratory tract but can have beneficial effects on mucus clearance so may have similar effect aiding the drainage of the sinuses, although this is not what is it designed for. As far as I am aware there is no specific supplement for sinuses in horses. This is potentially a useful product to add to the other measures you use for your horse. It can contribute to the treatment, but will not control it completely. It is still very important to try and minimise the contact with dusts and pollens. Being kept outdoors and soaking hay etc are still crucial measures.